Female watch OOZOOCollection OOZOO Carry Over 2018Product code W4107178Case materialMetalCase colorG.. Female watch OOZOOCollection OOZOO Timepieces - Carry over 2018Product code W4107180Case materialMet.. Female watch OOZOOCollection OOZOO Carry Over 2018Product code W4107177Case materialMetalCase colorS.. Female watch OOZOOCollection OOZOO Timepices - Carry Over 2018Product code W4107182Case materialMeta.. Female watch OOZOOCollection OOZOO Timepieces - Carry over 2018Product code W4107181Case materialMet.. Female watch OOZOOCollection OOZOO Timepieces - Carry over 2018Product code W4107179Case materialMet.. Female watch OOZOOCollection OOZOO Timepieces - Carry over 2018Product code W4107204Case materialMet.. Male watch OOZOOCollection OOZOO Timepieces - Carry Over 2018Product code W4107195Case materialMetal.. Male watch OOZOOCollection OOZOO Carry Over 2018Product code W4107187Case materialMetalCase colorTit.. 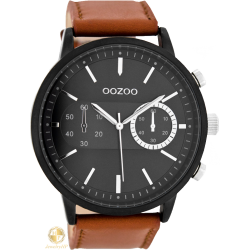 Male watch OOZOO Collection OOZOO Timepieces Carry Over 2018Product code W4107219Case materialM..
Unisex watch OOZOOCollection OOZOO Timepieces Carry Over 2018 Product code W4107183Case materia..